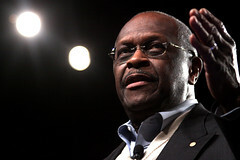 It’s worth noting that Cain’s “real black man” comment was in front of a Tea Party audience. For those who think the Tea Party and Cain are racially progressive because the candidate asserted his blackness and the audience cheered, think again. Cain said that he would not appoint a Muslim to his cabinet if he were elected to the Oval Office. 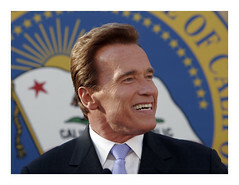 He clarified his remarks, but I don’t think the “clarification” makes him look any better. Cain also agrees with Birther-for-publicity and no-chance-of-running-and-even-less-of-a-chance-of-winning Donald Trump who has doubts about Obama’s birth. Cain’s xenophobia and racism toward Muslims and Obama is ironic. He is a black man running for president in a movement within a party that has a race problem. At the same time, he asserts his own black masculinity to run against Obama and garner support from that same movement and party. Representative Chris Lee (R-N.Y.) resigned from the House of Representatives this week following an email flirtation with a woman he met after responding to an ad in the “Women Seeking Men” section of Craigslist. Sadly for him, the woman also knows how to use Google to look up people’s names, and how to send emails to Gawker. See the Gawker reporter who broke the story.